This is a gorgeous matching set of creamy white, natural fresh water pearls. 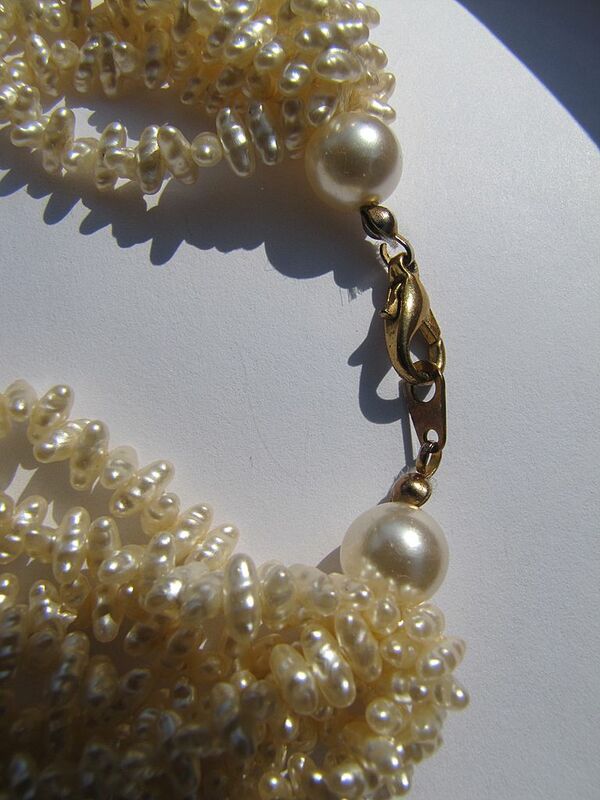 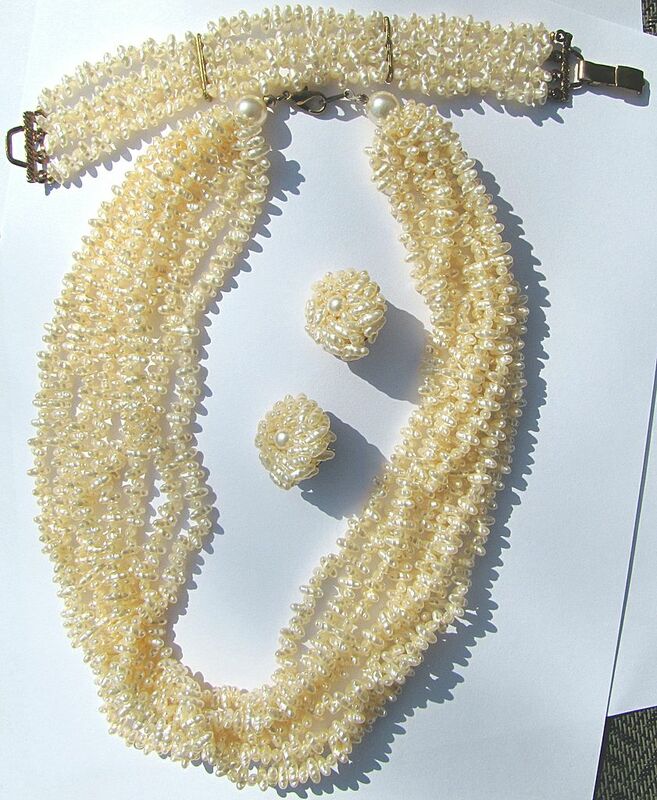 The necklace is thick and chunky with 8 rows of many, many fresh water pearls, measuring 18'' long with a lobster clasp. 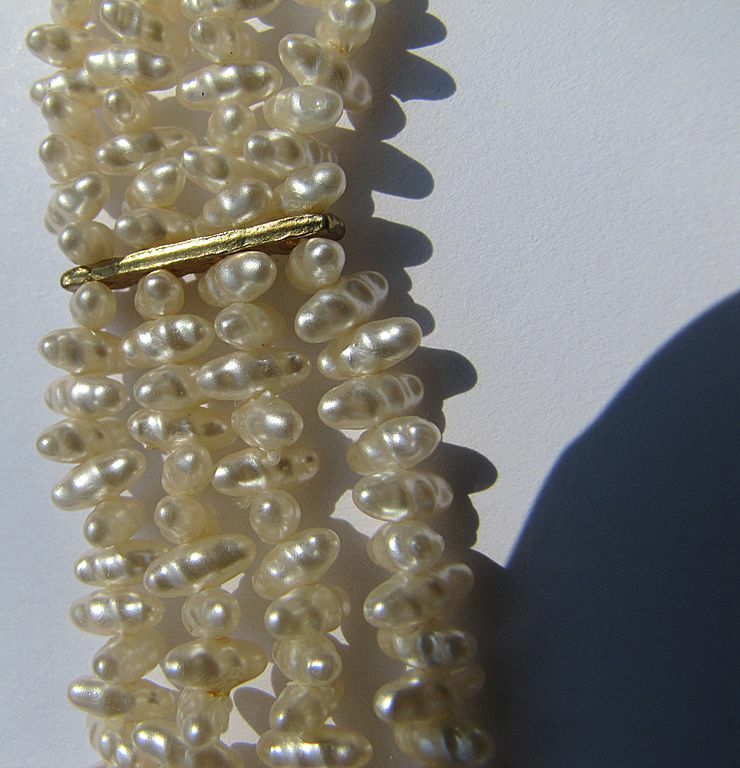 Included is a matching bracelet with 4 rows of pearls measuring 8'' long, and a set of pierced earrings with a cluster of pearls measuring 1'' in diameter. 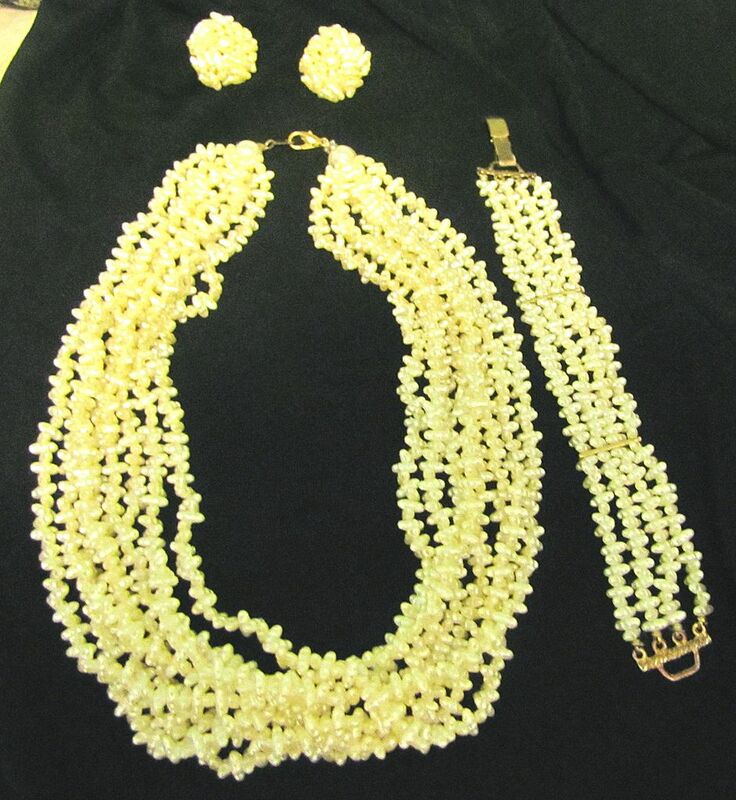 This set is about 27 years old and have never been worn. 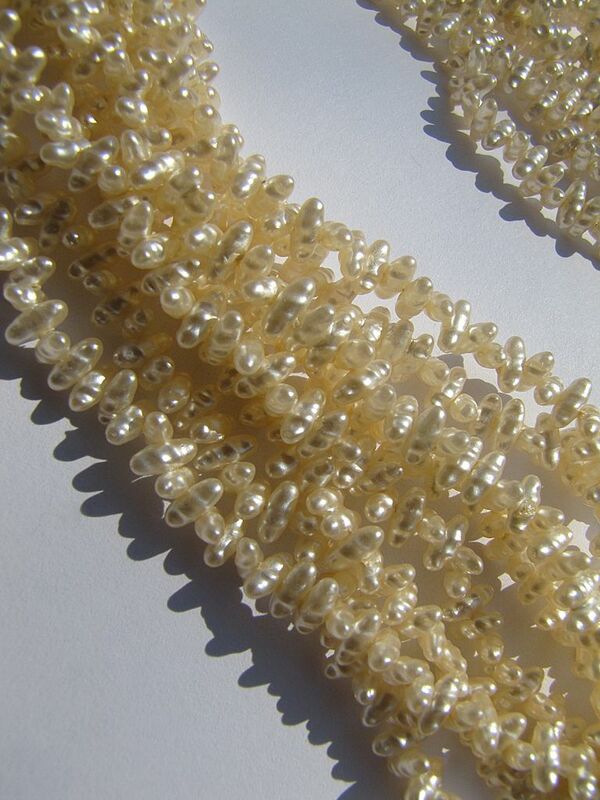 They have a beautiful luster and are absolutely stunning.